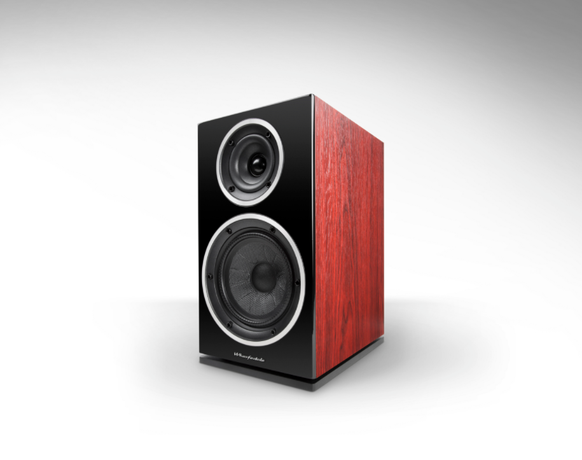 How petite are the Wharfedale DX-2 speakers? Standing just 19cm tall – they’re roughly the same dimensions as the Sonos One – the four satellite speakers are small enough to fit almost anywhere. 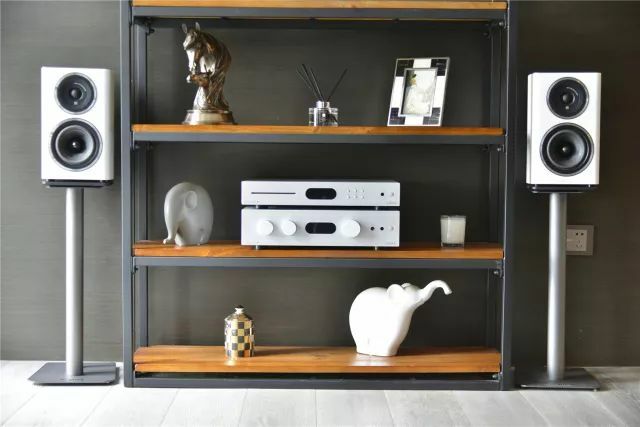 While we’d recommend placing them on dedicated supports where possible, the compact speakers are designed to feel at home on top of shelves, on bookcases, on the TV rack – anywhere you can find a spare spot in your room, really. Don’t have the space or budget for stands? You can wall-mount them instead, thanks to the brackets at the back of each speaker. The entire package has been redesigned. 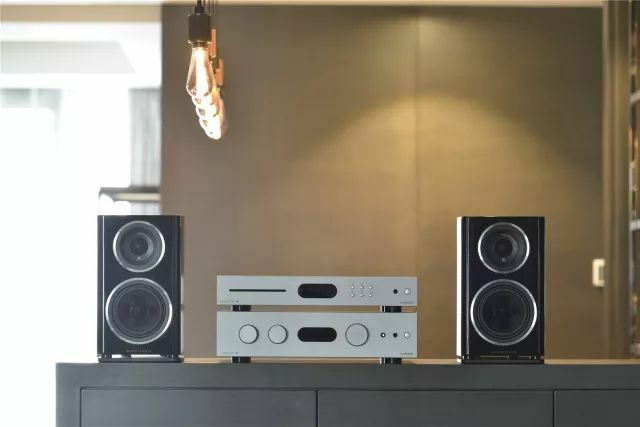 The glossy front remains, but the cabinets now have curved edges and the smooth leather-like finish wrapped around the speakers removes the need for spikes or rubber feet – so you can place them directly on surfaces without fear of scratches. It’s a sleeker, smarter and more luxurious look. Further cosmetic flourishes, such as the chrome rings surrounding the fixed speaker grilles for each driver – a neat design that protects the drivers without completely covering up the front – and lack of any grille holes make the whole package look even tidier. The DX-2 comes in two colours: the black of our review sample or a white finish. 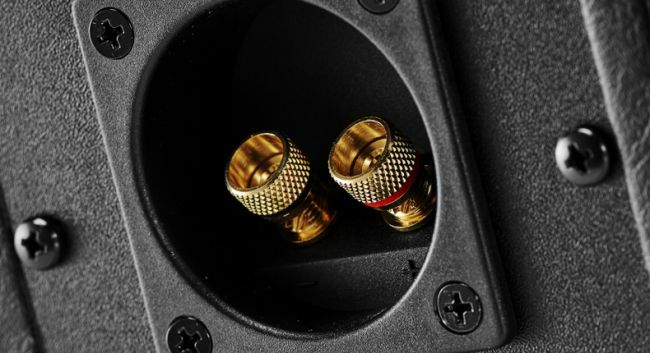 Build quality is good for the money, although we do have trouble getting our reference cables (with standard 4mm banana plugs) to fit into the speaker terminals. It’s too tight a fit, with the terminals feeling a tad undersized. Just like its previous iterations, each satellite has a 19mm silk dome tweeter and a 7.5cm mid/bass driver, with the centre channel using two of the mid/bass drivers to flank the same tweeter. The satellites are all closed-box designs – there’s no port – making it easier to place them closer to walls without affecting sound quality. 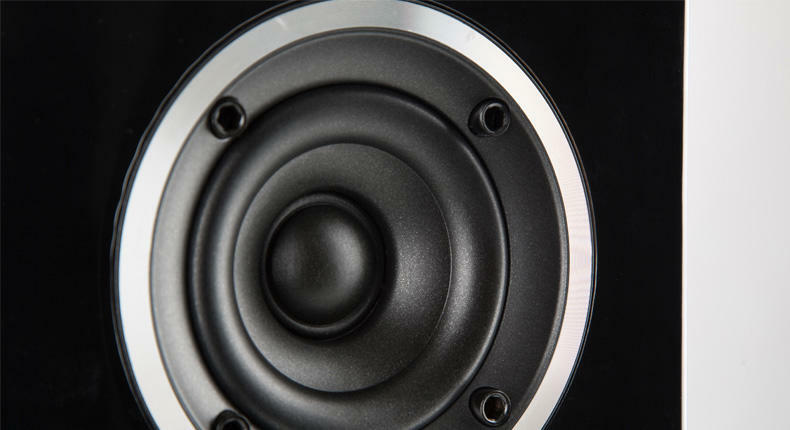 The centre channel has an aperiodic bass loading system (a small hole at the back filled with special foam) helping reduce low-frequency distortion and control bass performance from a small cabinet. 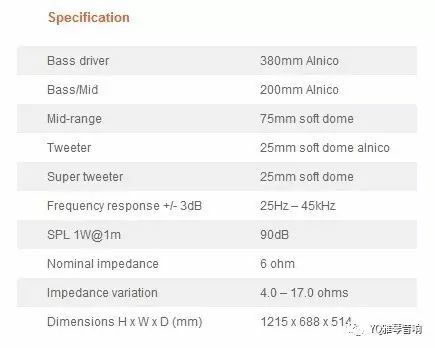 The WH-D8 active subwoofer completes the set. Comprising a forward-firing 20cm long-throw driver powered by a 70W amplifier, it’s compact enough to be tucked away in a corner. If you regularly watch movies, we’d keep the ‘auto sense’ switch toggled on: the sub automatically goes into standby when not in use, switching itself on when a signal is detected. 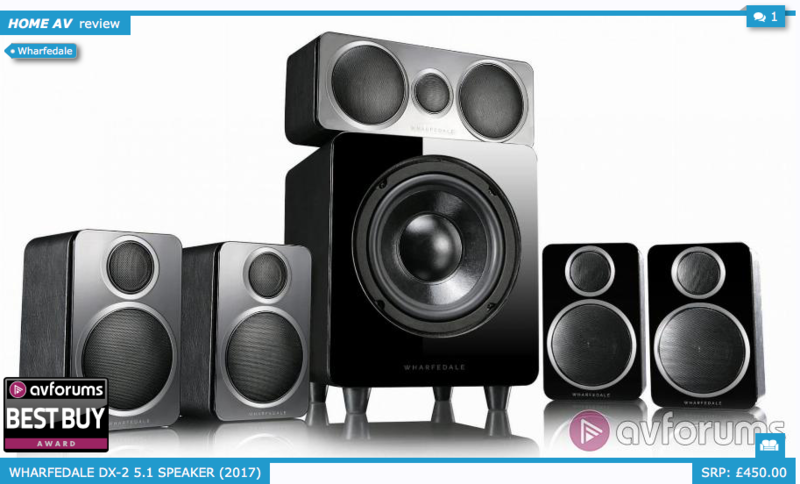 Speakers this size often struggle to handle Hans Zimmer’s epic score for Inception, but the Wharfedale DX-2 package delivers a respectable scale of sound – larger and heftier than its diminutive stature would suggest. It sounds punchy, detailed and surprisingly expansive. The DX-2 may be designed for smaller rooms, but it copes admirably even in our large AV test room. There’s abundant detail, it handles dynamic shifts with ease and not once does it fail to fill the room. That’s an impressive feat for any small, sub-£500 surround package. 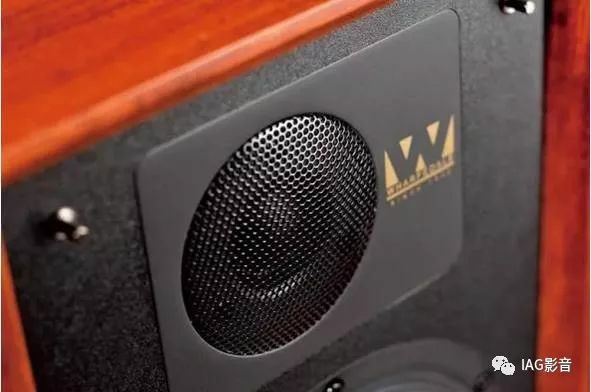 Of course larger speakers will fill a room more easily, but as the dream collapses in the final act of Inception the Wharfedale speakers deliver deep, resonant notes and thunderous crashes with utter composure. The DX-2 speakers are well-integrated too. Surround effects ping around the room, engulfing you in an articulate cocoon of sound. The haunting whispers on the island in Star Wars: The Last Jedi are clear, precise and evoke a chilling atmosphere as they echo across the surround speakers. The package does a grand job of going quiet, too: echoes in a cave die abruptly, plunging you into silence. 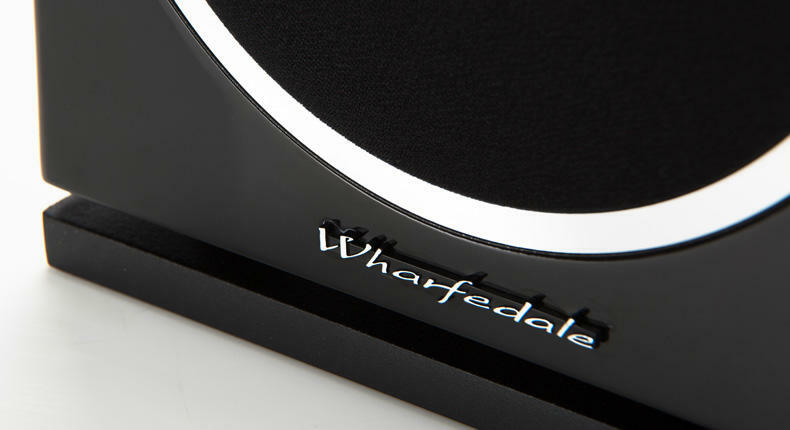 The edges of notes are precise and clean, allowing the Wharfedale to keep a snappy, agile sense of timing. 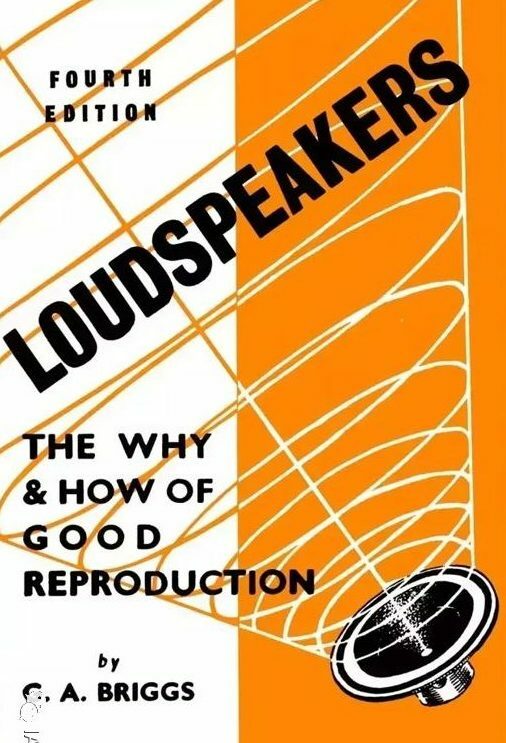 It’s a hugely listenable speaker package. Dialogue cuts through the busy special effects clutter, although we would prefer more texture and depth to voices. Rey’s hopeful entreaties contrast nicely against an elderly Luke’s grumbles, but more solidity and low-frequency detail would flesh out the emotion in their voices. More subtlety in the lower frequencies would help overall, but that shouldn’t take away from the rumble to punches, explosions and soundtrack crescendos. It’s a satisfying amount of grunt and weight – especially at this price – to keep us hooked to the action. 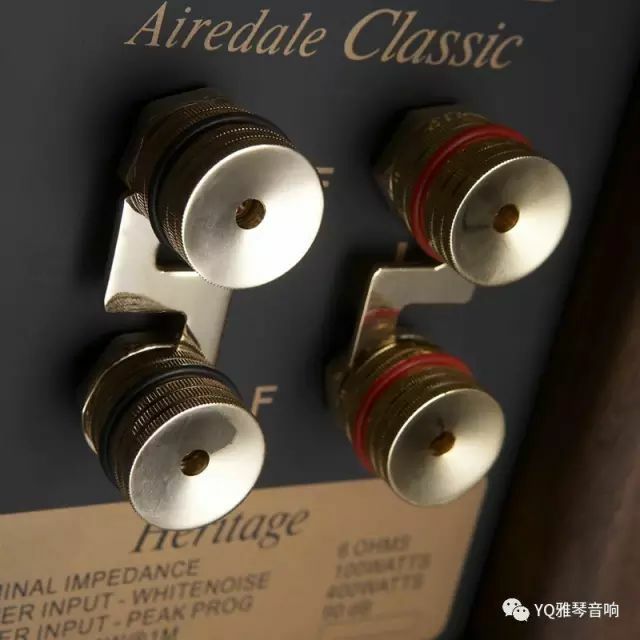 Push the volume too high and the Wharfedale package starts to struggle. But the DX-2 holds our attention at lower volumes – a sure sign of subtle and expressive dynamics. 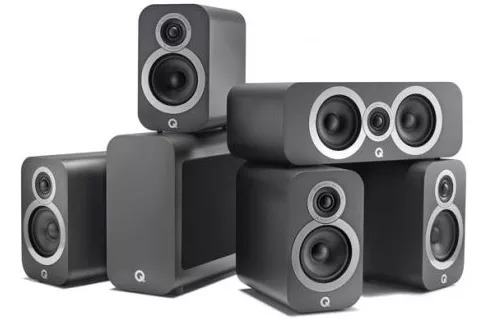 Go up the price scale and you’ll find speaker packages (such as the Q Acoustics 3010i 5.1 Cinema Pack) that are more articulate, more precise and bigger-sounding. 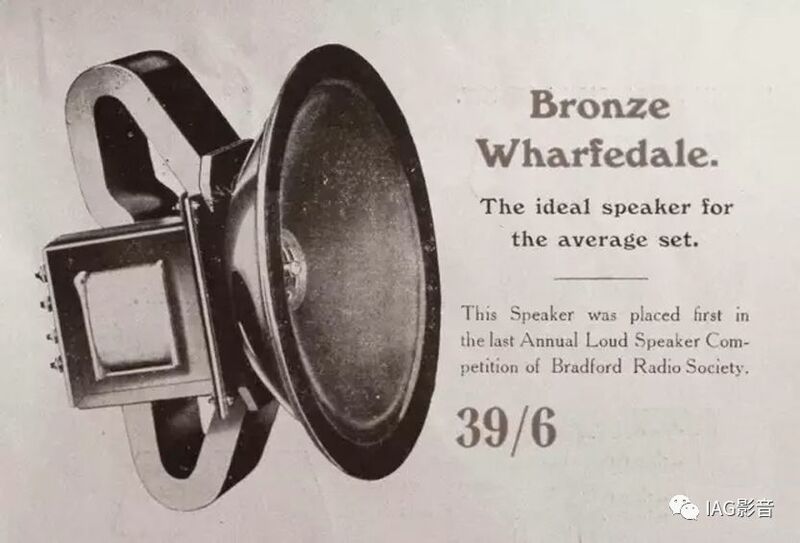 But they cost double what the Wharfedale does. 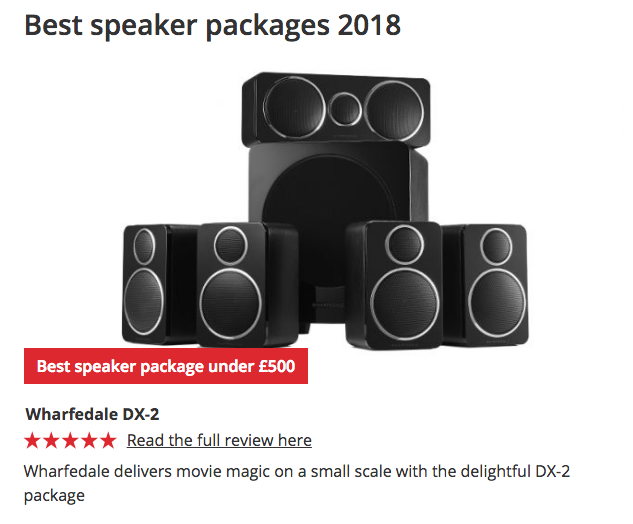 The entertaining performance, the compact-yet-stylish build and appealing price tag – it’s impressive how much Wharfedale has bundled into the petite DX-2 package. It’s a great solution for AV fans tight on budget and space. This is the world I grew up in: iPods, ear buds, tinny laptop speakers. Most people my age don’t think twice about their equipment, so long as it makes sound. 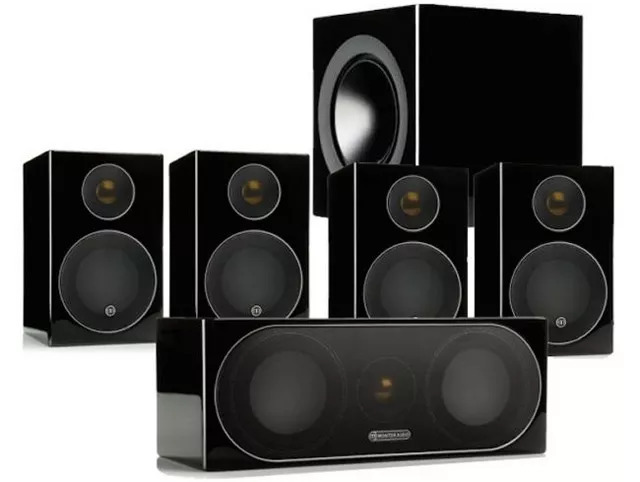 Your average iTunes aficionado isn’t going to shell out big sums of cash on stereo equipment, especially when everything seems to have speakers built in these days. Why bother? But there is good sound at approachable prices, fantastic sound really, the sort of sound that people obsess about. It’s not a mystical thing; it’s a visceral one; and younger people are finally starting to figure it out. Vinyl’s comeback is proof of that. The iPod generation is ready for quality; it’s just a matter of figuring out how to get it. And for me, it always starts with speakers. There’s nothing better than opening something new, which is probably why people watch videos of strangers unboxing hardware on YouTube. The Wharfedale Diamond 225s sat wrapped in plastic covers sandwiched between tight foam inserts at the top and bottom, keeping them secure in transit. 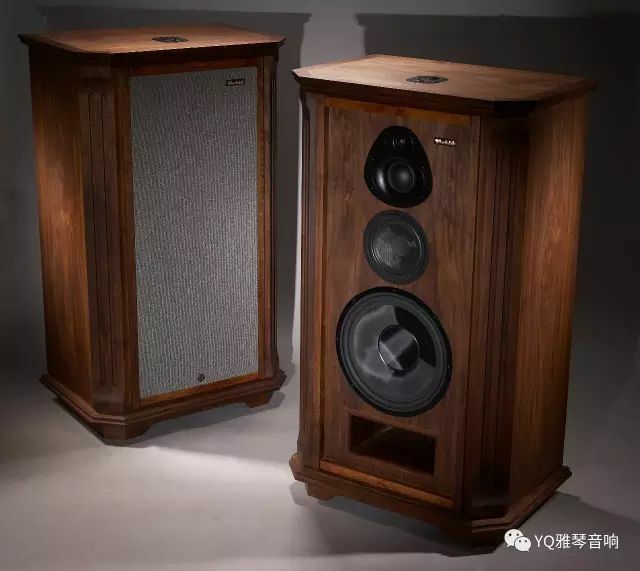 When I finally got them up and out, I stared at the gorgeous rosewood-veneer boxes, with their black-lacquer MDF baffles and the small Wharfedale logo just beneath the woofer. I leaned back in my desk chair and thought: “Wow, those are pretty.” They’re clean, unpretentious, and clearly put together very, very well. OK, the speaker grilles were a little weird. 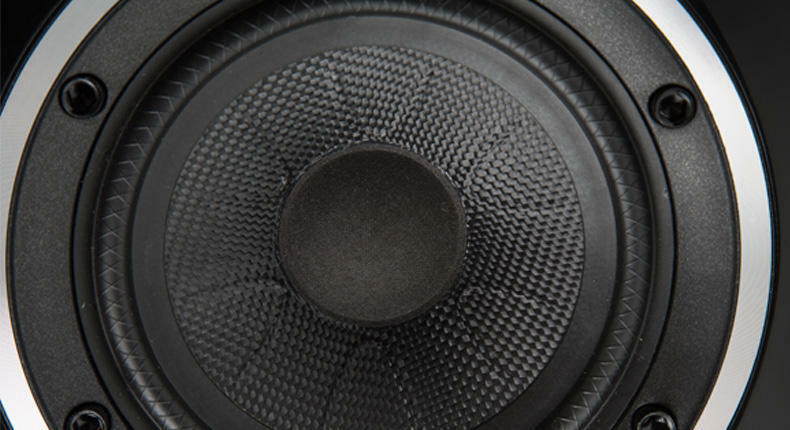 They’re two round foam pieces with little plastic rods that snap in over the tweeter and the woofer, leaving the rest of the baffle exposed, as opposed to something that covers the whole front. It’s not my favorite aesthetic choice, though it’s not necessarily a bad one, either. Just a matter of taste, I guess. At least they’re easy to remove, so I popped them off and forgot about them. The 225s are fairly compact, though deep and solid. Sound is always the most important aspect of any audio component, but you still have to live with these things, and it’s easier to live with beautiful stuff. Fortunately, they’re exactly what they need to be: simple and attractive. Clearly the people at Wharfedale know what they’re doing, which makes sense, considering how long they’ve been around. 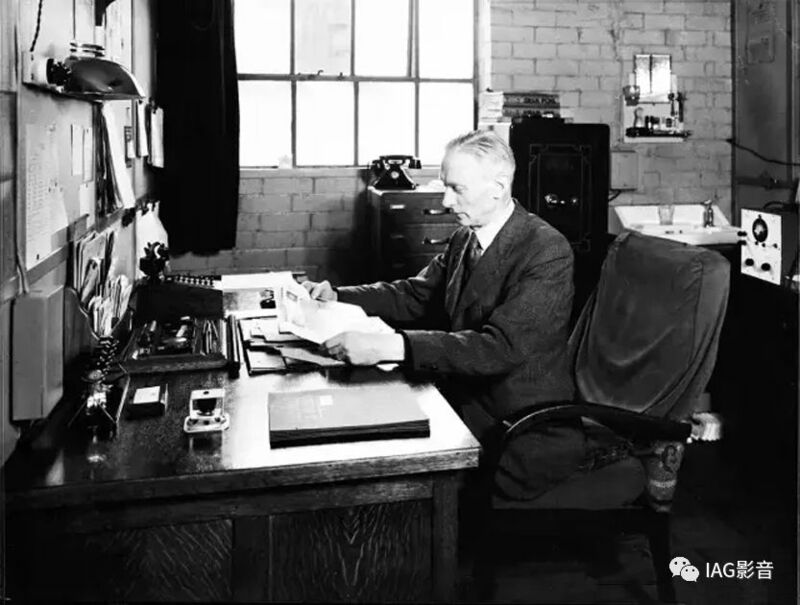 Wharfedale is a relatively large British outfit founded back in the 1930s, and they’ve been a big name in British hi-fi ever since. 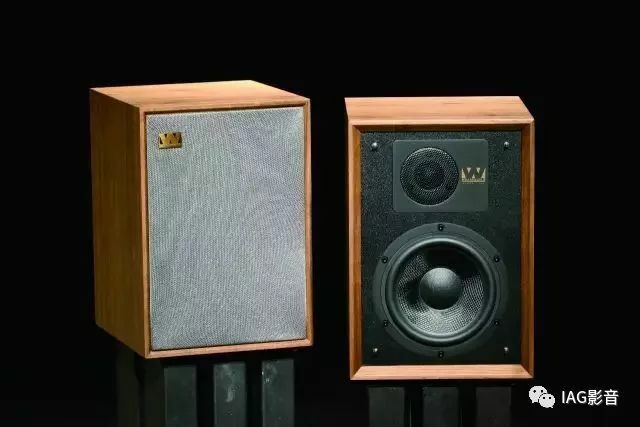 The Diamond series debuted in 1981, and Wharfedale has been slowly improving the Diamond designs and sound without inflating cost, and that’s exactly what I’m looking for. The 225s list at $450, which is a price an actual human with a real job could potentially afford. If you’re like me, and you’re sick of “affordable” equipment pushing easily into the $1000 range, this review is for you. 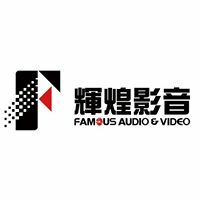 Fact is, the majority of people can’t shell out the cash for the absurdly hyper-expensive audio equipment that clogs up most blogs. If we want to get the next generation to fall in love with great sound, I think it’s about time to accept that there’s some seriously good, affordable stuff worth writing about. So with all that in mind, I put the 225s on top of my cheap stands, hooked them up to my (also British) Cambridge Audio CXA80 integrated, and turned it all on. Truth is, my listening space isn’t ideal. It’s small, oddly shaped with a sloping roof, and my speaker placement is limited. 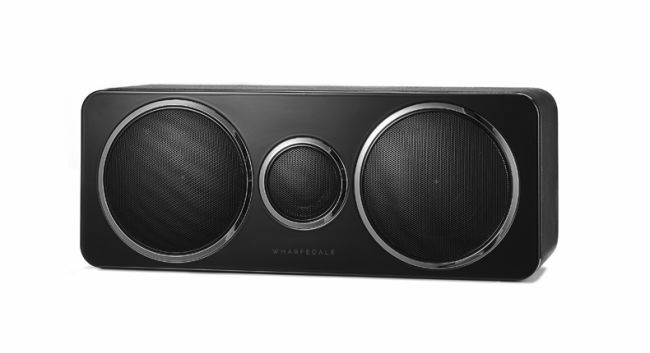 They have to be up close to a wall, though fortunately for me, these Wharfedales were designed with that in mind. 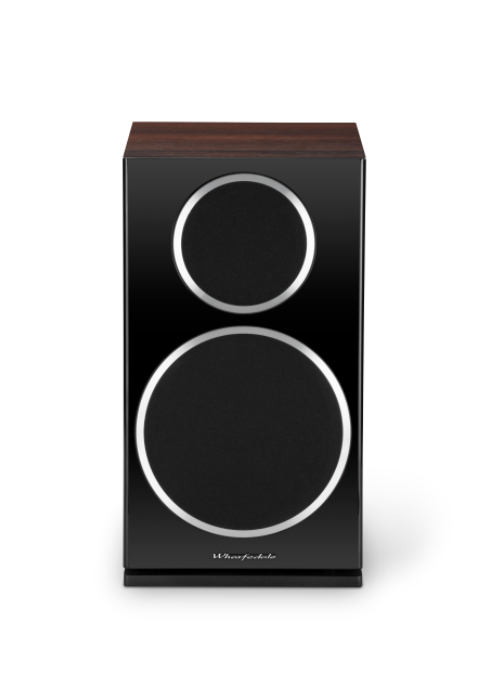 The slot-loaded bass port fires downwards, instead of back, minimizing room interaction. So don’t worry about sticking them on either side of an entertainment system in the living room, for example, or squeezing them into a small office. Like I said, we have to live with these things, and space is sometimes at a premium. Diving into the sound, I wasn’t sure what to expect. 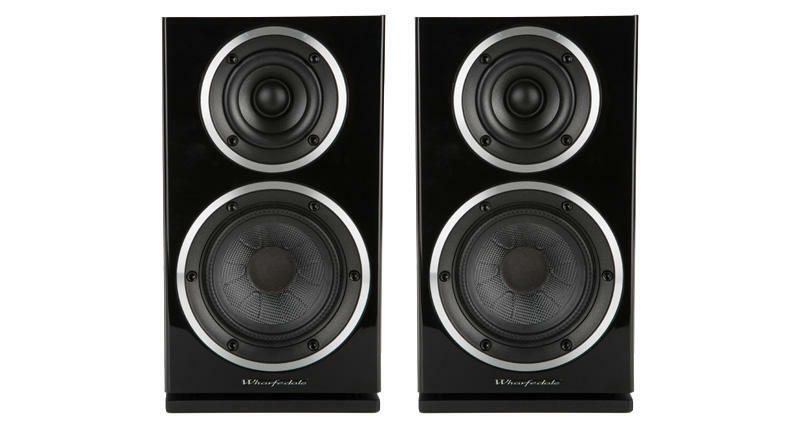 Bookshelf speakers typically aren’t known for deep, earth-shaking bass, and the 225s are no different in that regard. They aren’t going to rattle anyone’s bones and dig deep into that 40Hz bass region, which is fine—that’s what a sub’s for. Still, when I started with “Sparkle,” the first track on Tatsuro Yamashita’s City Pop masterpiece, For You, I got such a satisfyingly deep drop that I didn’t find myself missing the lowest of the low registers. Frankly, I didn’t find myself missing much of anything at all, especially when that clean, twanging guitar played its insanely catchy riff. The opening of “Sparkle” features a heavy, show-stopping reveal, and the 225s were more than up to the task of reproducing that big moment. I was surprised by how much weight I was getting from these things, more than enough for my small listening space. I can’t say how well they’d do in a much larger room, although I suspect they’d be up to the task. The other good thing about “Sparkle” is the way Yamashita’s voice is recorded. There’s tons of reverb and space, his notes just drifting off into the background, and the 225s highlighted that nicely. 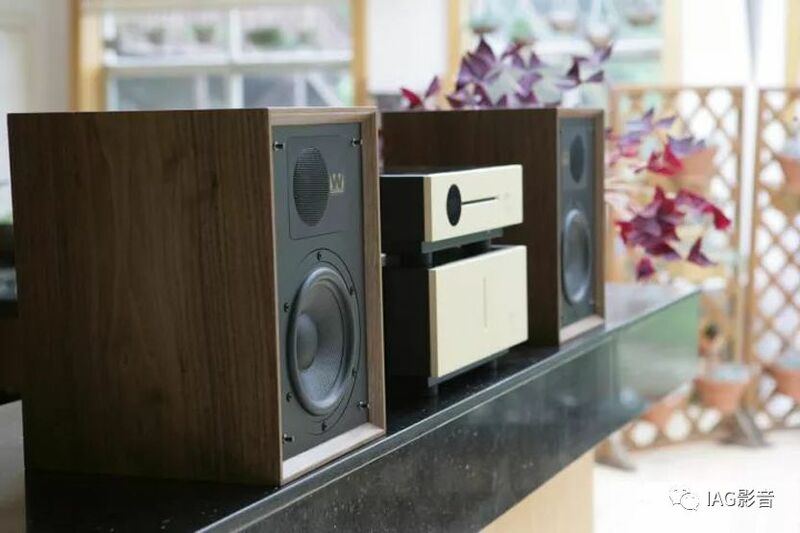 For such small speakers, these things could create an impressive soundstage. Not the greatest, most spectacular presentation, but plenty to keep me engaged. Sound hung, drifting, projected nicely in both directions. At some points at higher volume, I noticed a bit of gristle in the upper registers, and sometimes the lower end felt a bit soft. I have to admit though, I was having fun just running through my favorite sides, one after the other, looking for any sonic detail that might be worth delving into. That’s the best sign that a piece of equipment is working. These little boxes just seemed to get me. But I had to push the 225s, give them something challenging. That’s the whole point of a review, after all, to see how these things really perform. I turned to one of the strangest and most complicated albums of the year, King Krule’s The Ooz. This double-LP is as idiosyncratic as it is fascinating. On the most basic, surface level, it’s an experimental trip-hop masterpiece, but I think it’s so much more than that. It’s a sonically difficult album, with deep, rolling bass lines, up-tempo shifting beats, and Krule’s own morphing, grinding voice switching registers at will. The 225s did not disappoint me. They had a solid grip on the bass, keeping up with the hairpin-turn bumps and rumbles. The horns blaring in the background of “Dum Surfer” were rendered butter-smooth, along with that catchy guitar floating over the tight snares. I was drawn to the way the 225s made The Ooz somehow more accessible. It’s such an intricately layered album, and little details such as Krule’s English slang could easily be missed if anything muddy got in the way. I could feel the details of his voice despite the heavy synths and shimmering guitar effects. The 225s did a great job of creating a solid soundstage with minutely differentiated pieces. These songs felt so simple at first listen, but it took a piece of equipment like the 225s to do this level of complexity justice. Finally, I wanted to hear how the Diamond 225s would deal with rich, complex upper-range vocals. These speakers could handle bass and midrange, but I was curious as to how they’d do when it came to subtlety. For that, I turned to Moses Sumney’s odd, pared-down, R&B-influenced album, Romanticism. Sumney’s music focuses so much on his intense, wonderful, lilting falsetto, which nicely showcased the 225’s ability to highlight delicate high-end and midrange detail as he moved through registers. I had a feeling the 225s would be plenty engaging with a softer sound, and I wasn’t disappointed. The bass guitar on “Man on the Moon (reprise)” barely kept pace while Sumney’s vocals played above it, yet through the 225s the layers of Sumney’s voice came through clean, uncolored, and almost liquid. I didn’t really understand this album on first listen, but as I went through it again and again on the 225s, I came to really love its low-key cleanliness. In the end, I think that’s the real strength of the 225s. They weren’t throwing the deepest bass or resolving the upper registers absolutely perfectly, but they had weight right where I needed it, along with the detail and the clarity necessary to resolve complex tracks into enjoyable musicality. 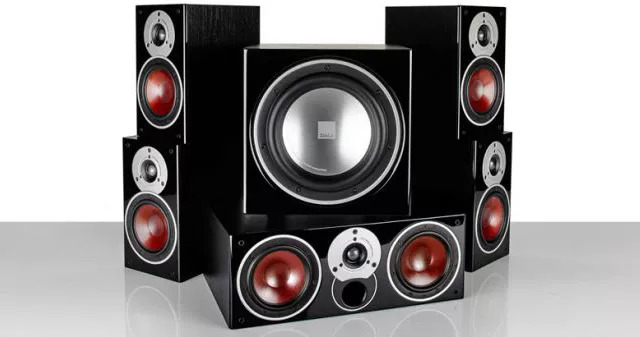 These speakers remind me that the “entry-level” isn’t a bad place to be. 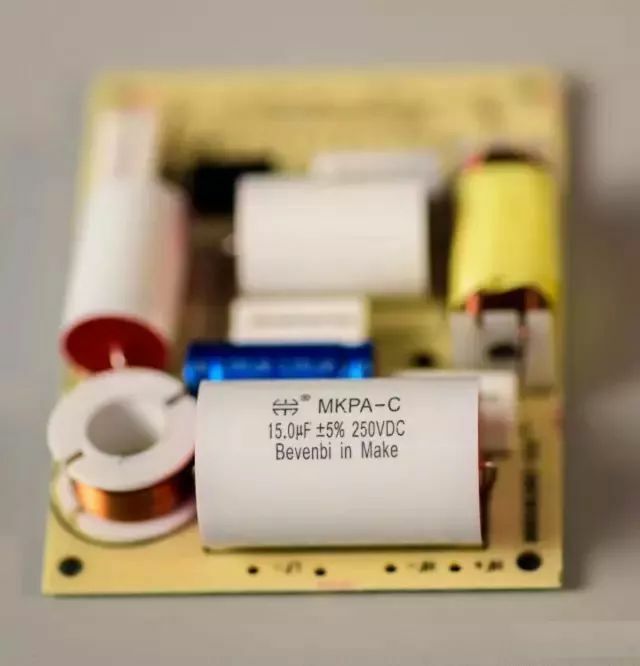 Inexpensive components are getting better and better as high-end design trickles down into supposedly budget hardware. 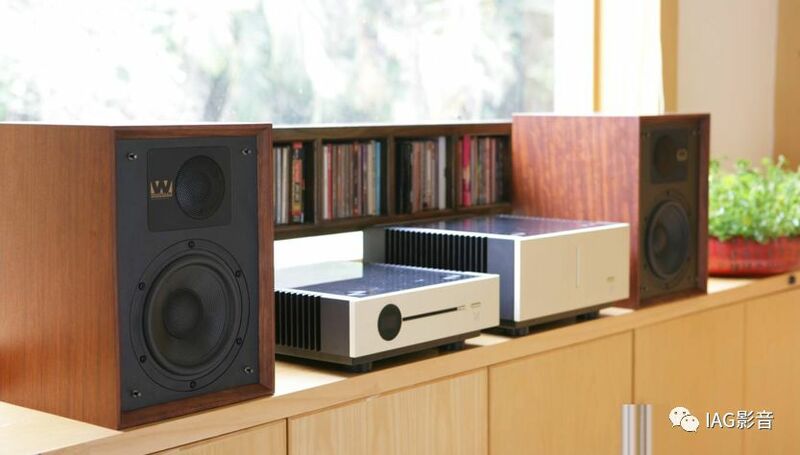 The Diamond 225s take everything good about high-end audio, the power of beautifully reproduced music, and they make it accessible to a wider audience. 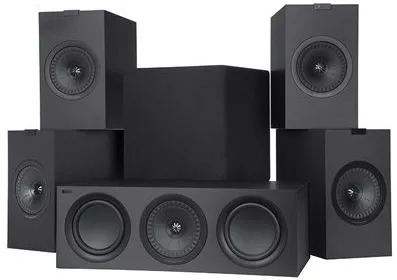 I believe the 225s would satisfy just about anybody looking for fantastic-sounding speakers designed by a respected manufacturer at a reasonable price. They’re not perfect, but man, they’re still more than good. I highly recommend them. 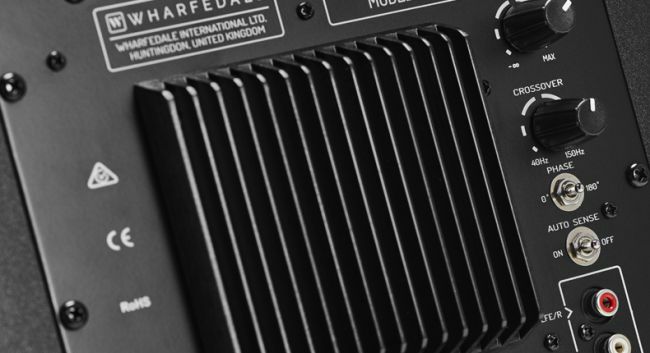 What is the Wharfedale DX-2? 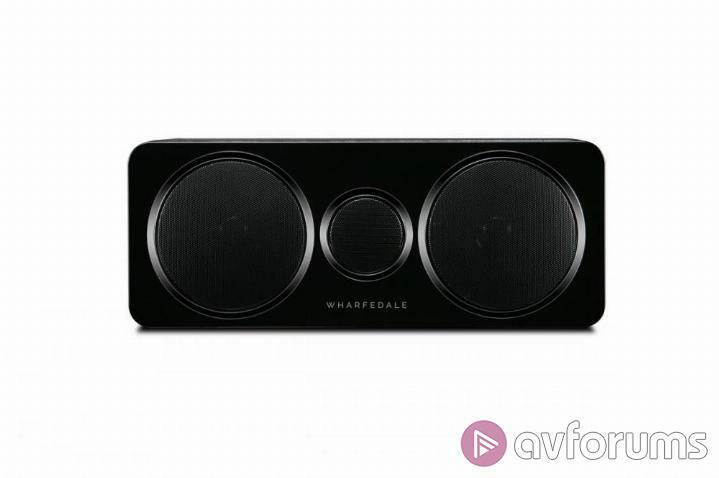 The Wharfedale DX-2 is a 5.1 speaker package and thus something of a rare breed in 2018. 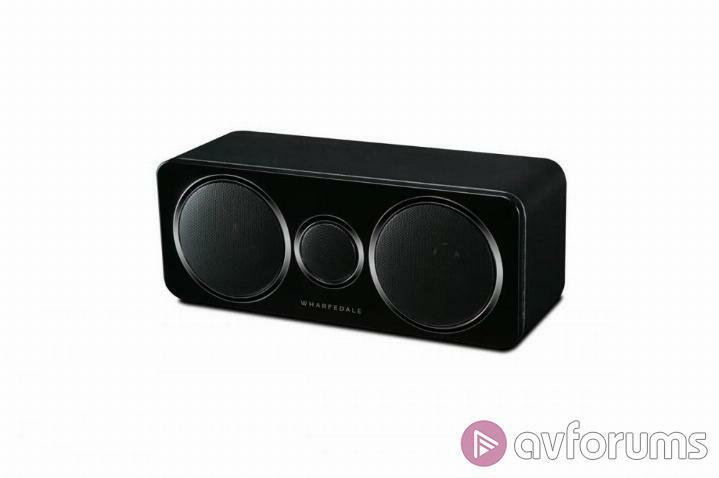 Coming in at £450, it is very clearly intended to contest parts of the market that many rivals have conceded to soundbars (and more often than not, proceeded to build one themselves). 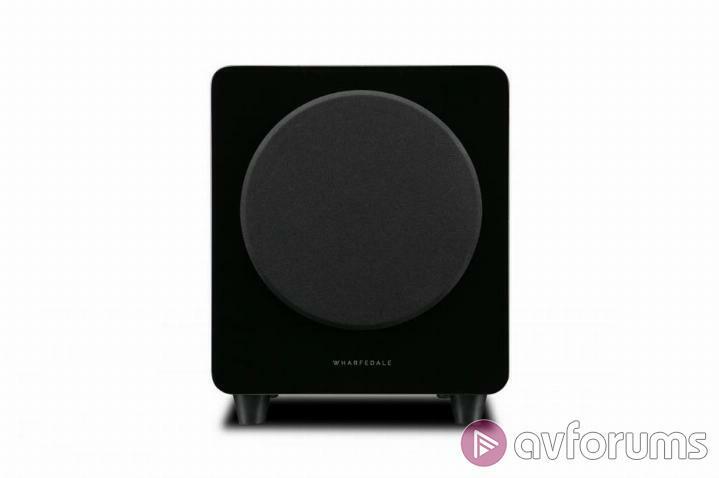 Paired with an affordable AV receiver, the Wharfedale could be part of a system for £700 which is pretty impressive judged by the pricing of a lot of the competition. On the face of it, there’s a lot to be said for this approach. Your upgrades can be staggered rather than chopping the whole thing in and the DX-2 offers the promise of real surround rather than an approximation of it. 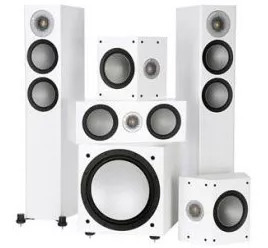 The speakers themselves (as we shall cover) are compact and this shouldn’t be too challenging in most spaces. It’s easy to see the appeal of real AV over a simpler boost to your TV speakers. 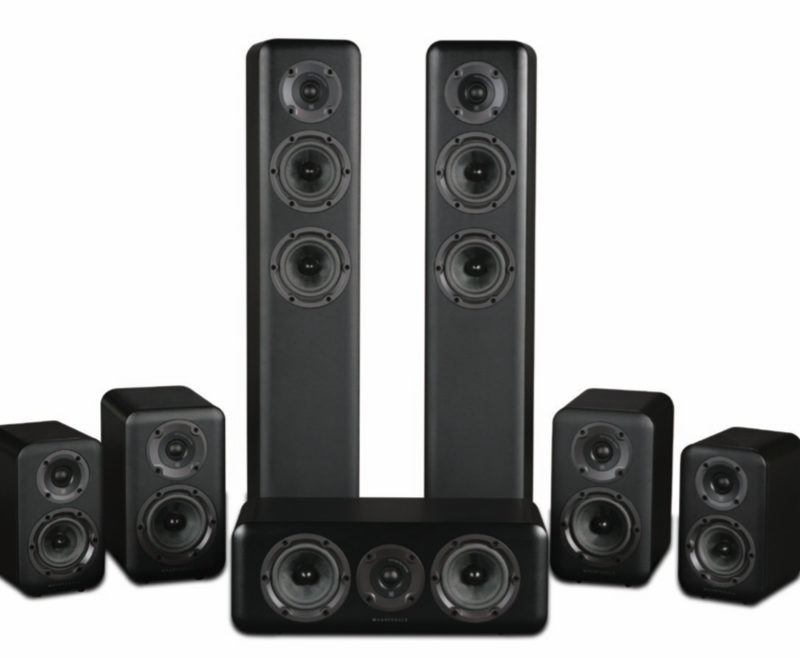 Of course, the important question is just how much surround package can £450 get you? 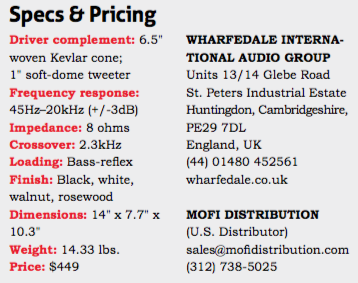 What has Wharfedale had to cut out, omit or sacrifice to get the DX-2 out the door for the money? Is the reason why this part of the market is now dominated by one box solutions because it simply can’t be done? Time to find out. 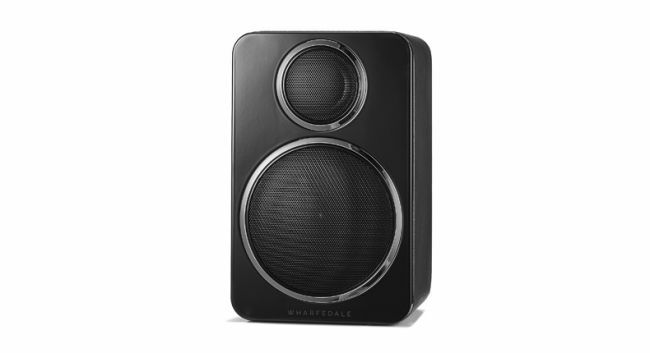 The Wharfedale is a sub sat based design with four upright satellites, a dedicated centre and a small active subwoofer. The satellites are very compact indeed with a height of only 19cm. What is notable therefore is that each speaker is a true two way design with a 19mm silk dome tweeter and a 75mm woven polypropylene cone. 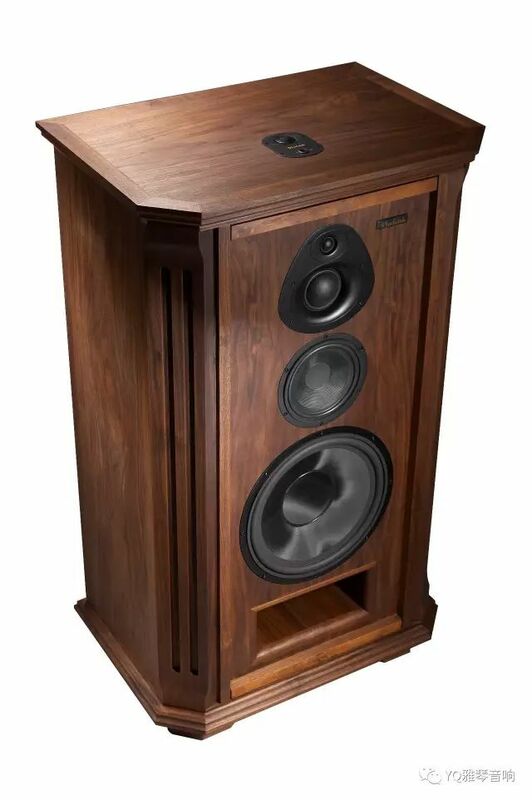 This configuration has been key to how Wharfedale has designed and built speakers for at least the last decade and the DX-2 is part of this system rather than something tacked onto the end. The centre speaker is clearly closely related to the satellites. It is effectively a ‘cabinet and a half’ type design with a second 75mm driver added to the cabinet. 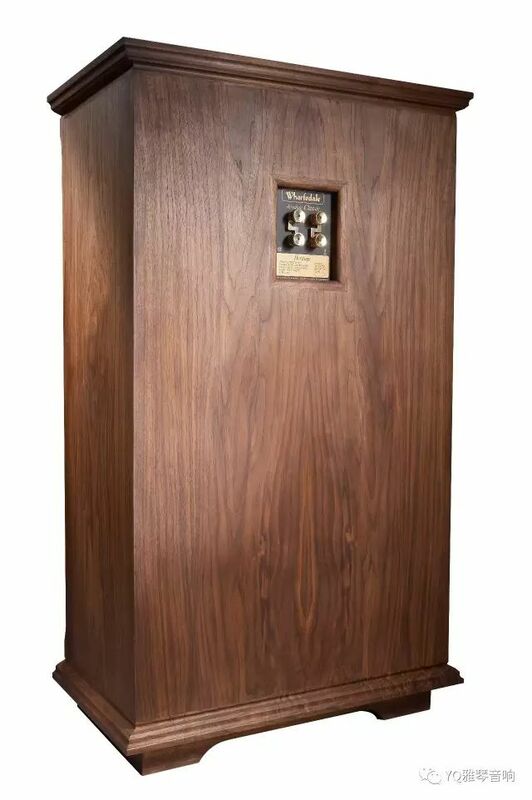 The arguments over the use of dedicated centre speakers will run and run but with a speaker cabinet of this size, I think it will help matters. The amount of information normally contained in the centre channel of the soundtrack sufficient that having an ‘anchor’ that manages this information is going to be useful in a speaker package of this size. 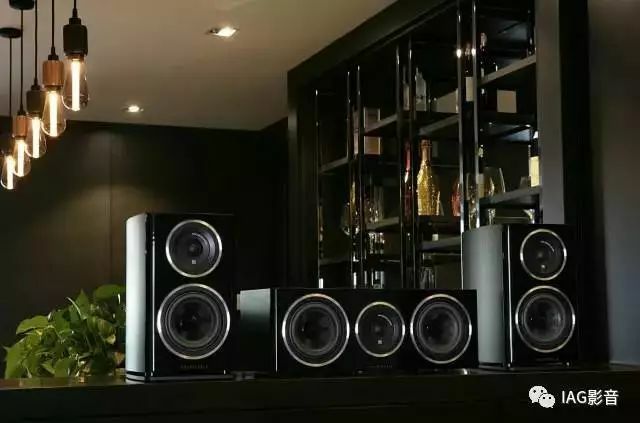 The subwoofer that partners these speakers is a compact design with a forward firing eight inch driver powered by a 70 watt amplifier. In a world of 1 kilowatt monsters, it might not sound terribly exciting but the reality of its execution is rather more positive than you might expect. You get an adjustable crossover (never a given at this price point), phase switch, stereo input and an auto on/off switch that can be bypassed (and that seems to work pretty well too). Given that this is going to be doing plenty of work in a system of this nature, this is very much a good thing. 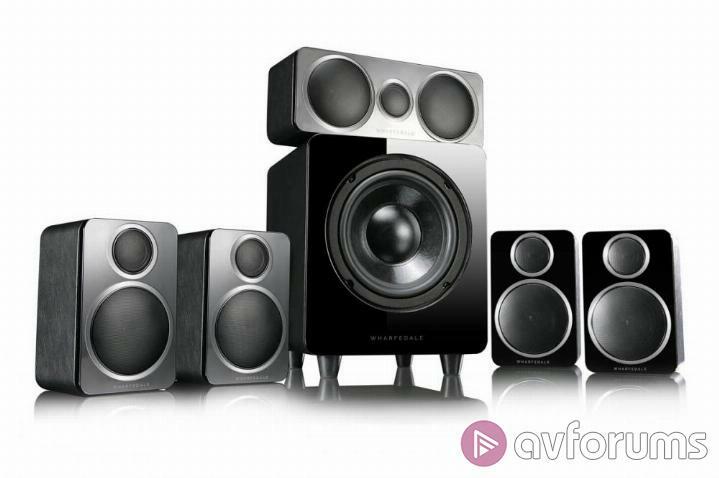 These speakers aren’t huge and Wharfedale quotes a fairly honest sounding lower response of 110Hz being available at +/-3dB with 100Hz being available at -6dB. This means you will need to put a little thought into how you set the DX-2 up to get the best out of it. That sub will be at least partly directional so it will do its best work on axis with the front speakers – particularly for music. Helpfully, this is made easier by the cabinets being sealed and something you can wall mount without too much issue and the sub is also fairly easy to place. 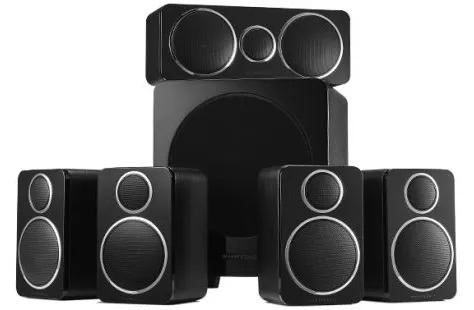 The subwoofer that partners these speakers is a compact design with a forward firing eight inch driver powered by a 70 watt amplifier. In a world of 1 kilowatt monsters, it might not sound terribly exciting but the reality of its execution is rather more positive than you might expect. You get an adjustable crossover (never a given at this price point), phase switch, stereo input and an auto on/off switch that can be bypassed (and that seems to work pretty well too). Given that this is going to be doing plenty of work in a system of this nature, this is very much a good thing. 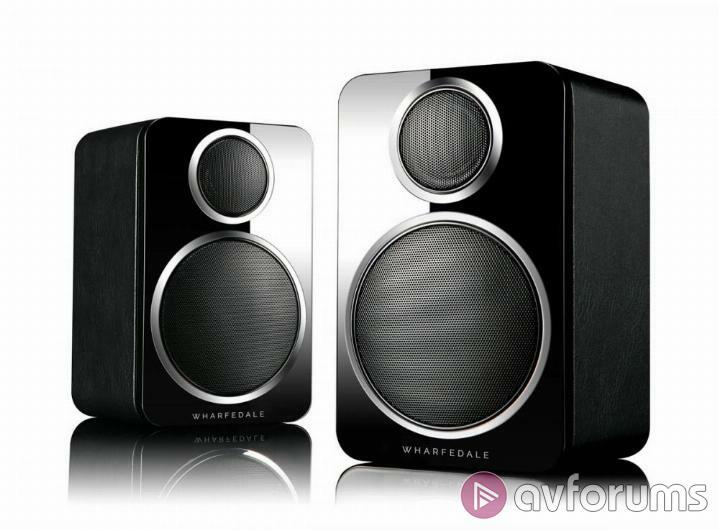 These speakers aren’t huge and Wharfedale quotes a fairly honest sounding lower response of 110Hz being available at +/-3dB with 100Hz being available at -6dB. This means you will need to put a little thought into how you set the DX-2 up to get the best out of it. That sub will be at least partly directional so it will do its best work on axis with the front speakers – particularly for music. Helpfully, this is made easier by the cabinets being sealed and something you can wall mount without too much issue and the sub is also fairly easy to place. 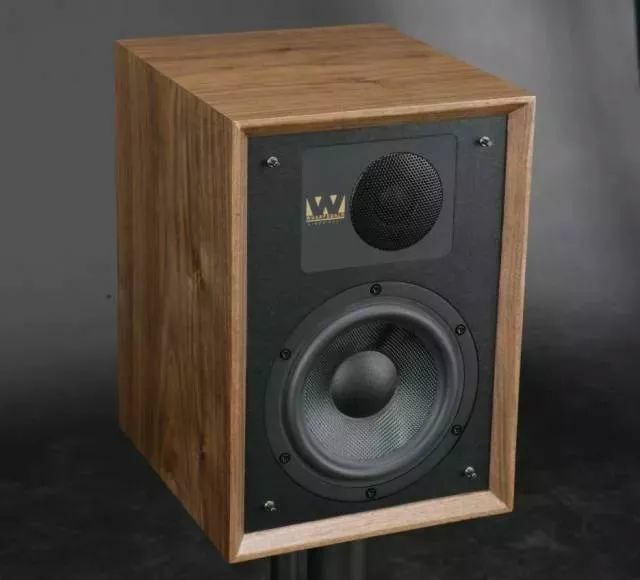 At £450, Wharfedale would be well within their rights to wrap the DX-2s various drivers in a container robust enough to stop them falling onto the floor and be done with it. That it feels (a lot) better than that is testament to the engineering and manufacturing clout that parent company IAG has. The satellites are finished in a manner that balances two slightly disparate requirements very well. They manage to feel like they have elements of design and styling to them while remaining usefully unobtrusive. The use of a gloss front panel is smart and the chrome rings avoid everything feeling a little overly black (a white finish is due too). This is then partnered with a faux leather surround for the cabinet. I can’t pretend to love this – I don’t really like actual leather on speakers – but it helps to make the DX-2 feel like something more than a ‘rubber mat’ product. You could be slightly critical of the grills being non removable but, honestly, I’m not sure how many people are going to want to remove them. No less importantly, it all feels well assembled too. The cabinets are roughly a kilo each (with the centre being a little more) and this is sufficient to make them feel like a meaningful assembly and points of contact like the speaker terminals are of good quality and should work with the majority of cables that the DX-2 is likely to encounter. 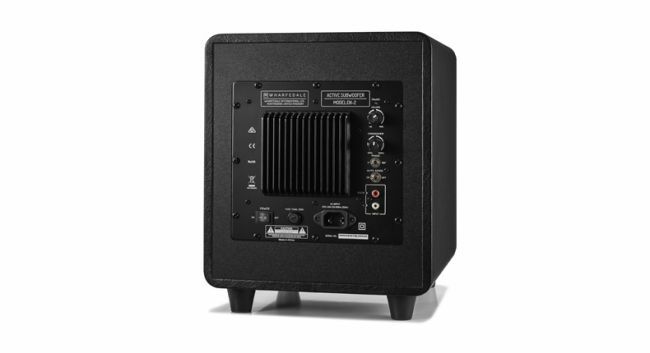 The subwoofer manages to deal with the standard issues of small affordable subwoofers well. The cabinet avoids any unpleasant resonances and the feet are sufficiently pliant that it stays put when you crank it up. The long and the short of it is that this is a pack that feels more than worth the asking price. 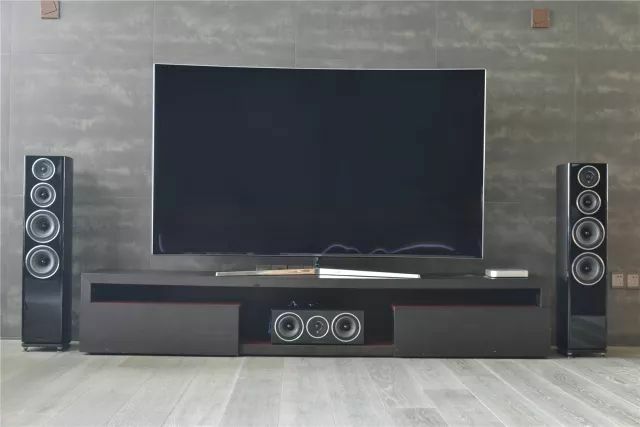 Crucially, it has he measure of most rival soundbars and shouldn’t – cabling not withstanding – present a significant challenge to get in and running. It also shouldn’t be too much of a challenge to most AV receivers to drive. 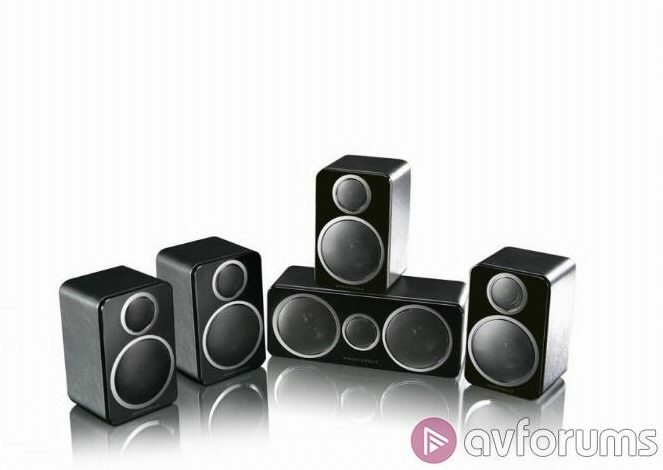 The satellites are quoted as having sensitivity in the mid eighties which isn’t bad for a speaker of this size assuming a largely eight ohm impedance. How was the DX-2 tested? 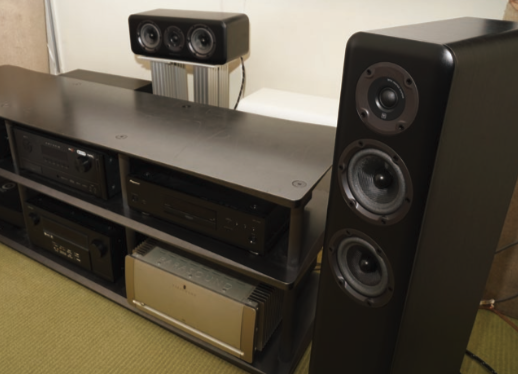 The Wharfedale was placed on a combination of Soundstyle Z2 speaker stands, a Quadraspire QAVX rack and the floor (sub). 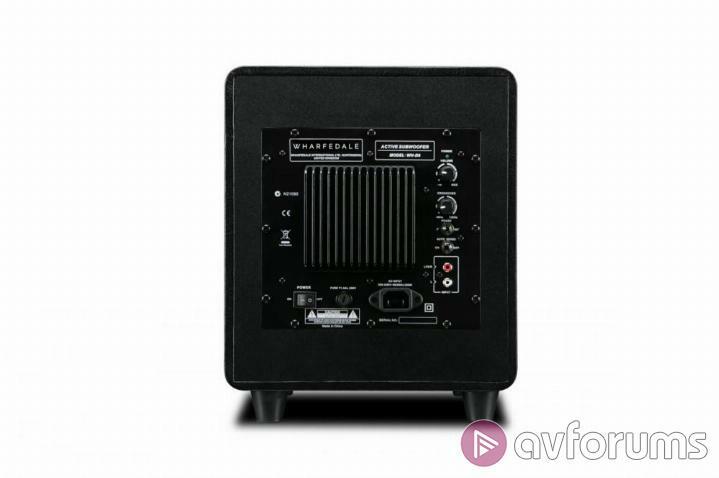 It was connected to a Yamaha RX-A3040 AV receiver with a Cambridge Audio 752BD Blu Ray player and Sky HD acting as source and a Panasonic GT60 Plasma acting as the screen and supplying Netflix and Amazon as further sources. Test material has included Blu Ray, broadcast and on demand material as well as some FLAC files and Spotify via the Spotify connect function in the Yamaha. As the review sample appeared to have done plenty of running before it arrived here, I haven’t put a huge amount of running in into the DX-2 and as the behaviour of the speakers hasn’t changed in the time it has been in use suggests that it is behaving as it should. I’m pleased to report too that the behaviour in question is very, very positive. 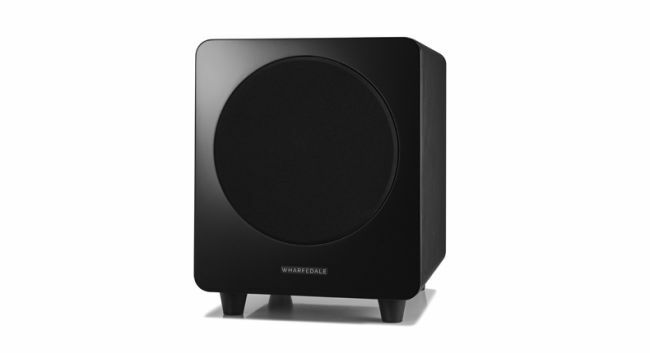 First up, the Wharfedale does the one thing absolutely crucial thing that a sub/sat system has to do in order to work and that is that it integrates the sub and the speakers correctly. With the crossover of the sub bypassed and a 100Hz one running in the Yamaha (I did briefly try a 120Hz one but feel that a 100Hz one works better even allowing for a roll off in the output from the satellites), the performance is extremely cohesive. I re-watched Sleepy Hollow with the DX-2 in place and the way that the DX-2 renders the woods from where the horseman emerges is really rather impressive. There’s plenty of low key detail in the mix and those little satellites do a fine job of rendering it. They also show excellent tonal balance. The driver materials in use in the DX-2 are hardly the stuff of science fiction but they serve as a welcome reminder that the classics work well. Early on in the film, there’s a short (but effective) cameo from Sir Christopher Lee. With the DX-2, even with your eyes closed, the output of the centre speaker is very much Christopher Lee. The presentation is refined, detailed and continuously engaging. There are limits of course. 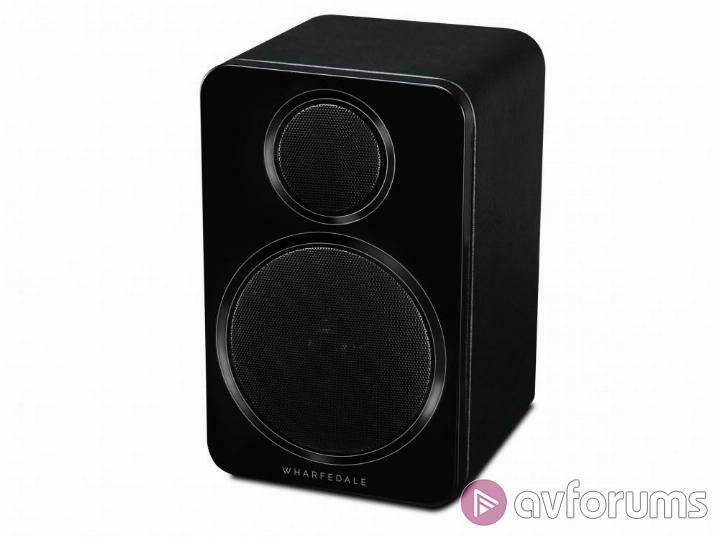 Even on the end of the capable and unflappable Yamaha 3040, the Wharfedale has a very clear comfort zone in volume terms and pushing too hard will result in it starting to harden up and become somewhat brittle. Watching the catacombs sequence in John Wick 2 at a loud level comes across as a bit breathless and constrained. This being said, in a normal lounge, listening at more day to day levels, the results are still very entertaining. Interestingly, the sub has more poke in it than the satellites do. For a fairly small and sanely powered box, it has no trouble giving you some decent bass extension and staying cohesive and together even with fairly complex material. The good folks of SVS are unlikely to stop making their instruments of destruction when confronted with it but after a week in situ, it is very clear that plenty of effort has been expanded on it. Where this effort really shows for me is when you switch over to general TV viewing – conducted at rather lower levels and with less sophisticated soundtracks than on movie night. 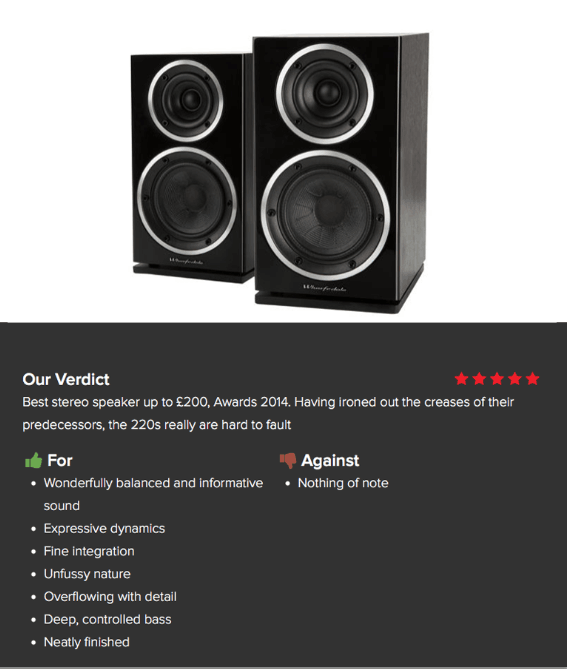 The Wharfedale is a truly excellent partner for this day-to-day material. It sounds spacious, refined and convincing across pretty much anything you might choose from the visual insanity of Britannia to the eyegasm of The Grand Tour. The latter gave the DX-2 the chance to show off the tonal realism it has by doing a fine job of capturing the effort that had gone into recording the Jaguar XKSS and Aston Martin DB4 Lightweight. The sheer array of mechanical noise from the Aston in particular is superbly rendered and very immersive. The single biggest accolade I can give the DX-2 is that I don’t feel compelled to re-watch anything once it had been re-boxed. Used in 2.1, the DX-2 is capable if not as capable as using a straight pair of stereo speakers. Listening to The Thread That Keeps Us by Calexico, which is well produced and tonally accurate, that slight dip in output where the sub finishes and the sats really come into their own is noticeable (but again, for me at least, preferable to the 120Hz crossover setting). 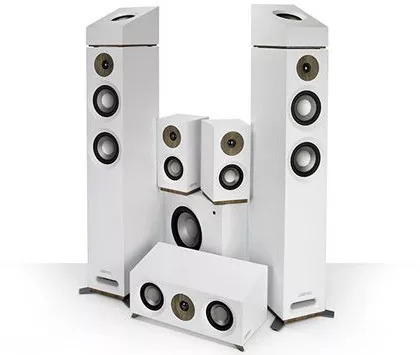 There is a very good stereo image though and the sub is light enough on its feet to deal with complex basslines without getting slow or wallowy. 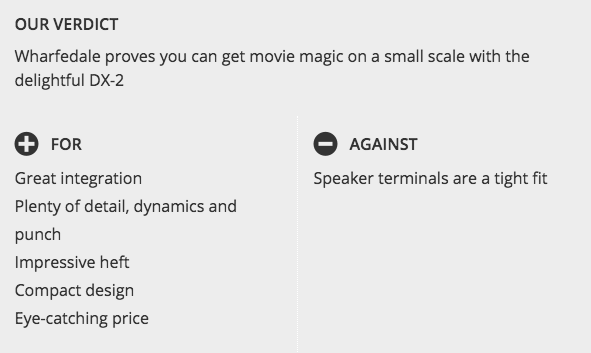 I suspect that the critical aspect of judging the DX-2 is that no AV solution (soundbar, HTIB etc.) that I’ve listened to recently sounds better. My time with the DX-2 has been illuminating. In so many ways, this is not a radical system – it is very similar in concept and execution to the old Mordaunt Short Premiere systems which I used to provide technical support for over fifteen years ago. There’s nothing here that is in any way revolutionary… but… it doesn’t stop the DX-2 being seriously good. 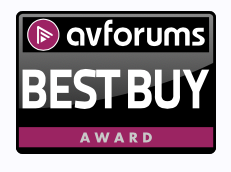 Partnered with a decent affordable AV receiver, this is a package that doesn’t do a convincing facsimile of surround, it instead offers honest to goodness home cinema thrills at a more than sensible price. It does this while taking up very little space and being perfectly up to the job of working in most decors. 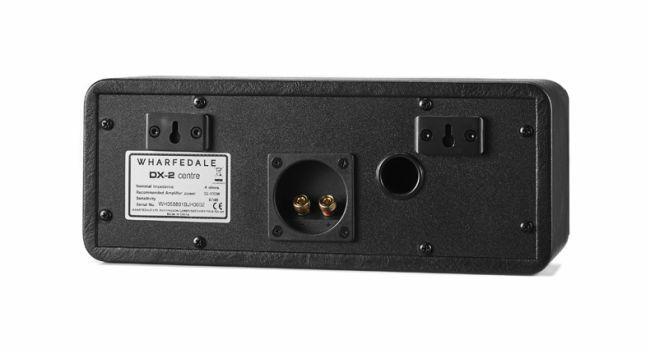 If you can handle a moderately more complex cabling arrangement than would be required of a soundbar, then the Whafedale DX-2 shows that there is a whole world of fun you can get in on and for that reason this bargain box of brilliant is an indisputable Best Buy. This is the world I grew up in: iPods, ear buds, tinny laptop speakers. Most people my age don’t think twice about their equipment, so long as it makes sound. Your average iTunes a cionado isn’t going to shell out big sums of cash on stereo equipment, especial- ly when everything seems to have speakers built in these days. Why bother? 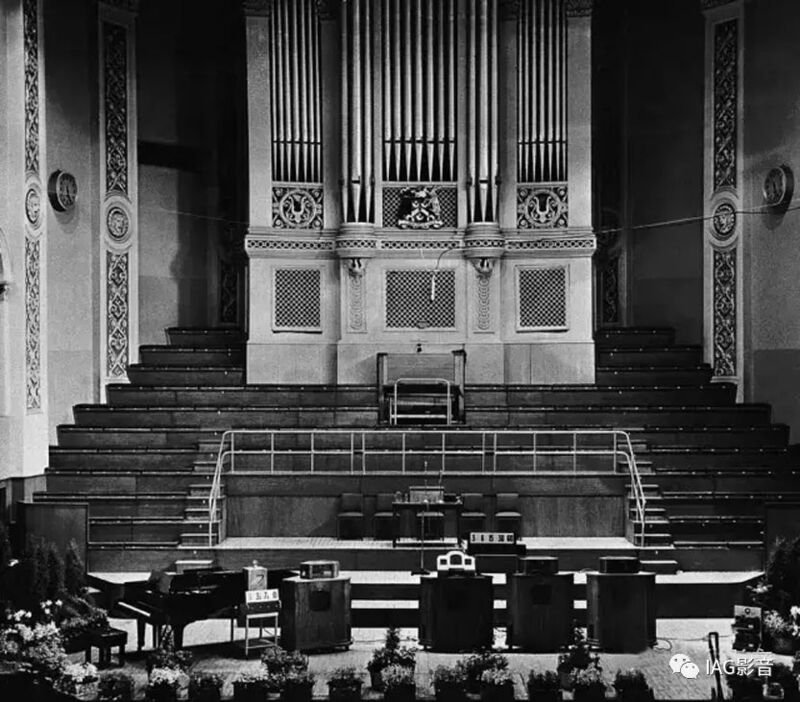 But there is good sound at approachable prices, fantastic sound really, the sort of sound that people obsess about. It’s not a mystical thing; it’s a visceral one; and younger people are nally starting to gure it out. Vinyl’s comeback is proof of that. The iPod generation is ready for quality; it’s just a matter of guring out how to get it. And for me, it always starts with speakers. There’s nothing better than opening something new, which is probably why people watch videos of strangers unboxing hard- ware on YouTube. The Wharfedale Diamond 225s sat wrapped in plastic covers sandwiched between tight foam inserts at the top and bottom, keeping them secure in transit. 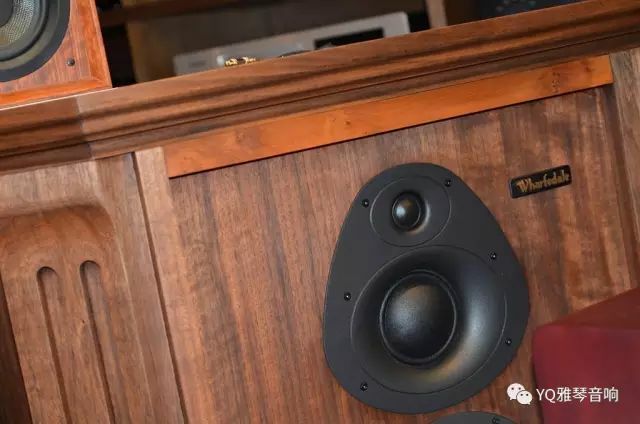 When I nally got them up and out, I stared at the gorgeous rosewood-ve- neer boxes, with their black-lacquer MDF baf es and the small Wharfedale logo just beneath the woofer. I leaned back in my desk chair and thought: “Wow, those are pretty.” They’re clean, unpretentious, and clearly put together very, very well. OK, the speaker grilles were a little weird. They’re two round foam pieces with little plastic rods that snap in over the tweet- er and the woofer, leaving the rest of the baf e exposed, as opposed to something that covers the whole front. It’s not my favorite aesthetic choice, though it’s not necessarily a bad one, either. Just a matter of taste, I guess. At least they’re easy to remove, so I popped them off and forgot about them. The 225s are fairly compact, though deep and solid. Sound is always the most important aspect of any audio component, but you still have to live with these things, and it’s easier to live with beautiful stuff. Fortunately, they’re exactly what they need to be: simple and attractive. 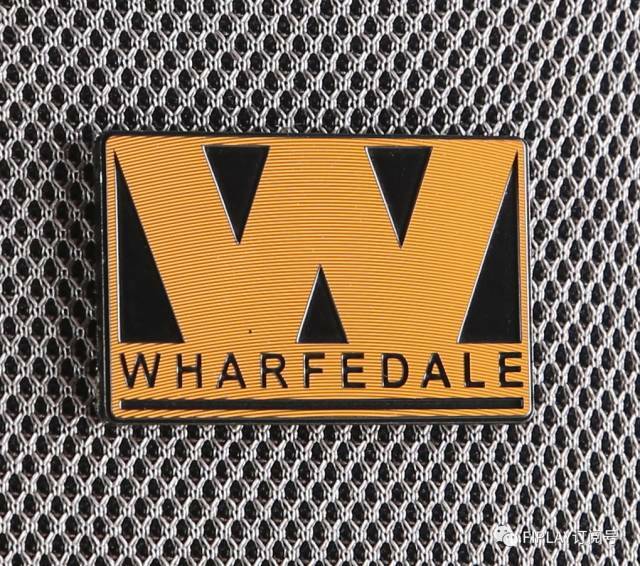 Clearly the people at Wharfedale know what they’re doing, which makes sense, considering how long they’ve been around. 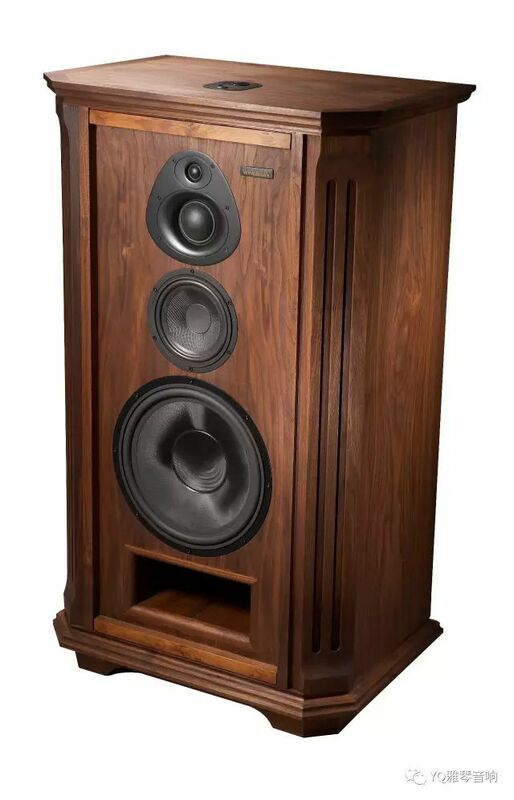 Wharfedale is a relatively large British out t founded back in the 1930s, and they’ve been a big name in British hi-fi ever since. 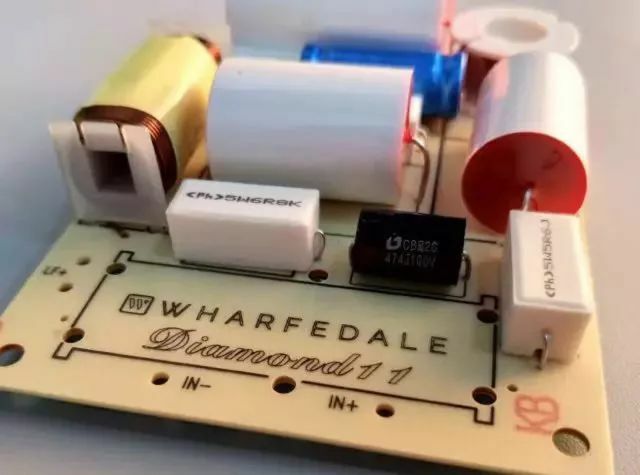 The Diamond series debuted in 1981, and Wharfedale has been slowly improving the Diamond designs and sound without inflating cost, and that’s exactly what I’m looking for. So with all that in mind, I put the 225s on top of my cheap stands, hooked them up to my (also British) Cambridge Audio CXA80 integrated, and turned it all on. Truth is, my listening space isn’t ideal. It’s small, oddly shaped with a sloping roof, and my speaker placement is limited. 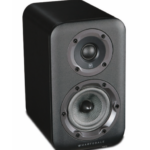 They have to be up close to a wall, though fortunately for me, these Wharfedales were designed with that in mind. 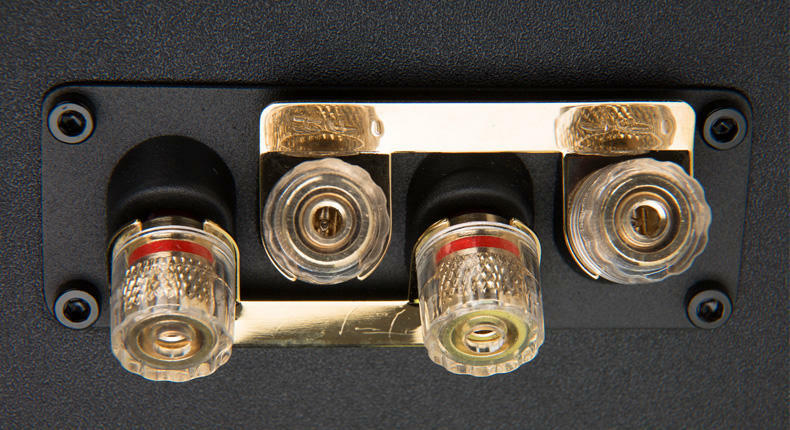 The slot-loaded bass port res downwards, instead of back, minimizing room inter- action. So don’t worry about sticking them on either side of an entertainment system in the living room, for example, or squeezing them into a small of ce. Like I said, we have to live with these things, and space is sometimes at a premium. Diving into the sound, I wasn’t sure what to expect. 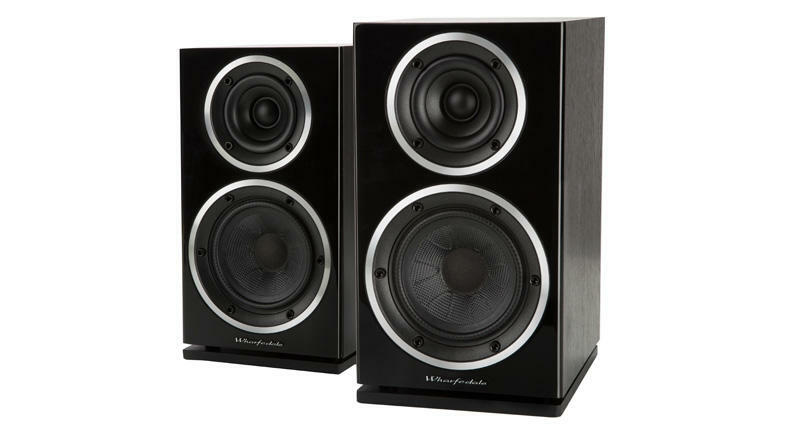 Bookshelf speakers typically aren’t known for deep, earth-shaking bass, and the 225s are no different in that regard. They aren’t going to rattle anyone’s bones and dig deep into that 40Hz bass region, which is fine—that’s what a sub’s for. Still, when I started with “Sparkle,” the rst track on Tatsuro Yamashita’s City Pop masterpiece, For You, I got such a satisfyingly deep drop that I didn’t find myself missing the lowest of the low registers. Frankly, I didn’t find myself missing much of anything at all, especially when that clean, twanging guitar played its insanely catchy riff. The opening of “Sparkle” features a heavy, show-stopping reveal, and the 225s were more than up to the task of reproducing that big moment. I was surprised by how but I think it’s so much more than enough for my small listening space. 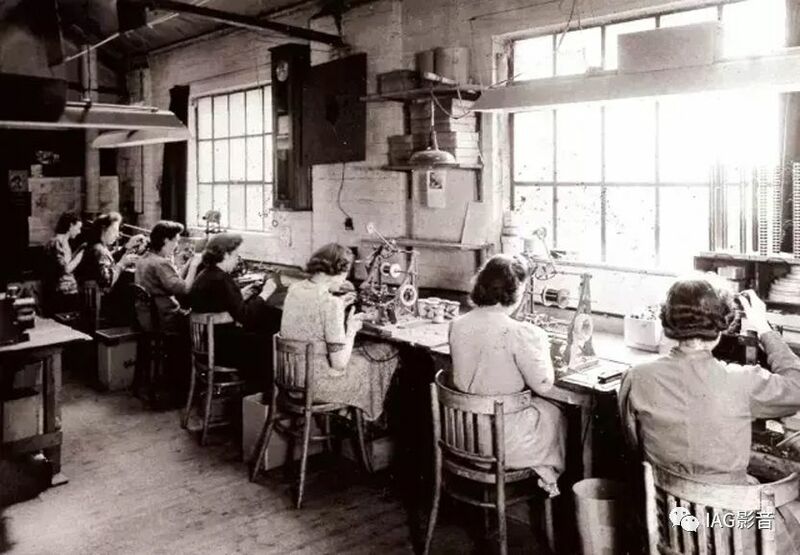 I can’t say how well they’d do in a much larger room, although I suspect they’d be up to the task. But I had to push the 225s, give them something challenging. That’s the whole point of a review, after all, to see how these things really perform. I turned to one of the strangest and most complicated albums of the year, King Krule’s The Ooz. This double-LP is as idiosyncratic as it is fascinating. On the most basic, surface level, it’s an experimental trip-hop masterpiece, but I think it’s so much more than that. It’s a sonically dif – cult album, with deep, rolling bass lines, up-tempo shifting beats, and Krule’s own morphing, grinding voice switching registers at will. The 225s did not disappoint me. They had a solid grip on the bass, keeping up with the hairpin-turn bumps and rumbles. The horns blaring in the background of “Dum Surfer” were rendered but- ter-smooth, along with that catchy guitar floating over the tight snares. I was drawn to the way the 225s made THE Ooz, somehow more accessible. It’s such an intricately layered album and little details such as Krule’s English slang could easily be missed if anything muddy got in the way. I could feel the de- tails of his voice despite the heavy synths and shimmer- ing guitar effects. The 225s did a great job of creating a solid soundstage with minutely differentiated pieces. These songs felt so simple at first listen, but it took a piece of equipment like the 225s to do this level of complexity justice. Finally, I wanted to hear how the Diamond 225s would deal with rich, complex upper-range vocals. These speakers could handle bass and midrange, but I was curious as to how they’d do when it came to subtlety. For that, I turned to Moses Sumney’s odd, pared-down, R&B-influenced album, Romanticism. Sumney’s music focuses so much on his intense, wonderful, lilting falsetto, which nicely showcased the 225’s ability to highlight delicate high-end and midrange detail as he moved through registers. I had a feeling the 225s would be plenty engaging with a softer sound, and I wasn’t disappointed. The bass guitar on “Man on the Moon (reprise)” barely kept pace while Sumney’s vocals played above it, yet through the 225s the layers ofSumney’s voice came through clean, uncolored, and almost liquid. I didn’t really understand this album on first listen, but as I went through it again and again on the 225s, I came to really love its low-key cleanliness. In the end, I think that’s the real strength of the 225s. They weren’t throwing the deepest bass or resolving the upper registers absolutely perfectly, but they had weight right where I needed it, a;ong with the details and the clarity necessary to resolve complex tracks into enjoyable musicality. 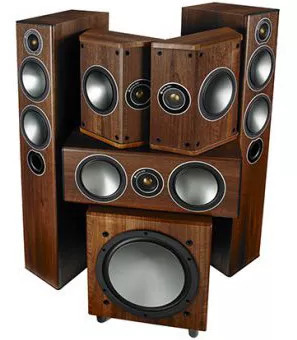 These speakers remind me that the “entry-level” isn’t a bad place to be. 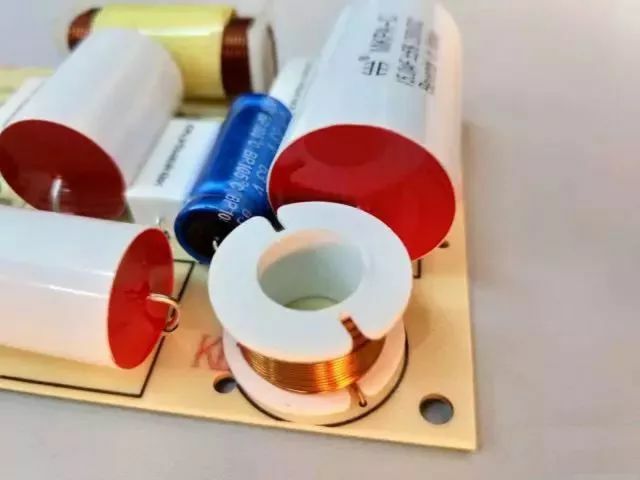 Inexpensive components are getting better and better as high-end design trickles down into supposedly budget hardware. 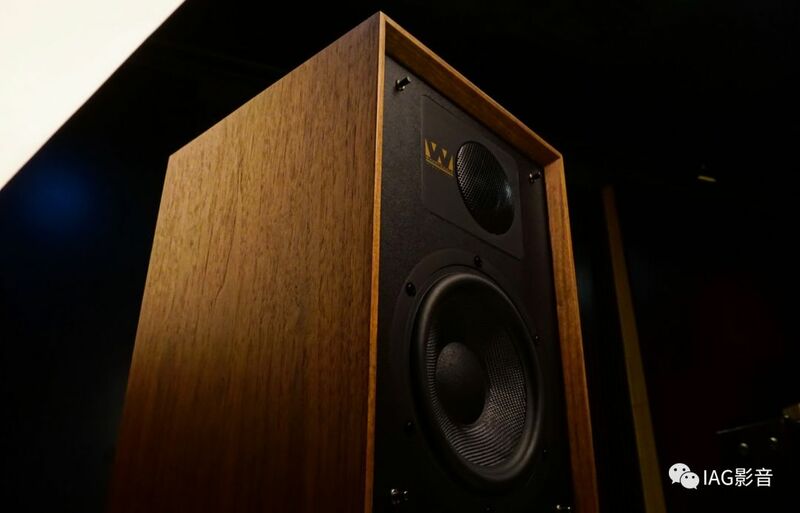 The diamond 225s take everything good about high-end audio, the power of beautifully reproduced music, and they make it accessible to a wider audience. 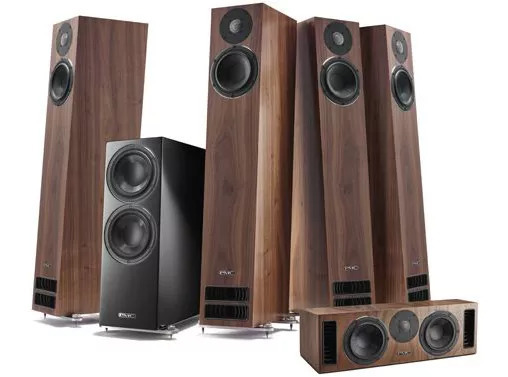 I believe the 225s would satisfy just about anybody for fantastic-sounding speakers design by a respected manufacturer at a reasonable price. They’re not perfect, but man, they’re still more than good. I highly recommended them.